Today’s economy is rough. With unemployment sky rocketing and lay-offs inevitable, everyone wants to know how to get noticed and get hired. 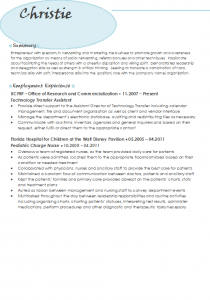 Insert Jessica, with over 8 years of Human Resource, recruiting/hiring and writing expertise. She started her company Write Track Resumes in 2008 with the mission to help people create/update resumes, cover letters and thank you notes, help with interview coaching, job searching tips, and anything related to getting YOU a job! She’s passionate about giving people the opportunity to have professional services at affordable prices. The best part? You don’t even have to be local to take advantage of what she has to offer! 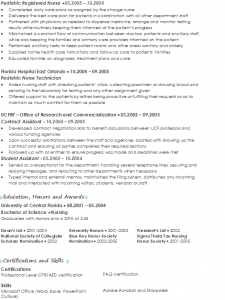 I personally was in desperate need of a resume facelift! The last time I had submitted a resume to a company was when I graduated from nursing school over *cough, cough* 6 years ago. 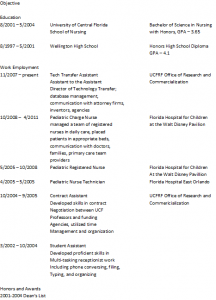 A LOT of things had changed since my fledgling nursing school resume, including a big career change. I never really had much experience writing/creating a resume. I graduated with a Nursing degree, NOT an English degree! I had no clue where to even start! I know, pretty pathetic, right? I kept apologizing for the amount of work I knew I was giving her. She assured me that it wasn’t a problem and quickly got to work. With minor changes and lots of email exchanges, Jessica was constantly involving me in the process. She made sure that I LOVED my resume and was proud of the product result. Honestly, I couldn’t have been happier. Check out my new, fabulous resume! If you need ANY professional job service, please keep Jessica and Write Track Resumes in mind! She was quick, precise, and easy to work with! 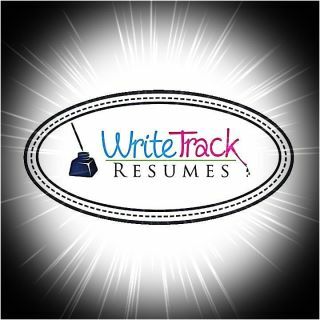 Write Track Resumes is joining my sponsor team for my 1,000 fan giveaway! Be sure to “like” her page on Facebook now for a chance to win a FREE resume upgrade/creation and 25% off a service for a friend!